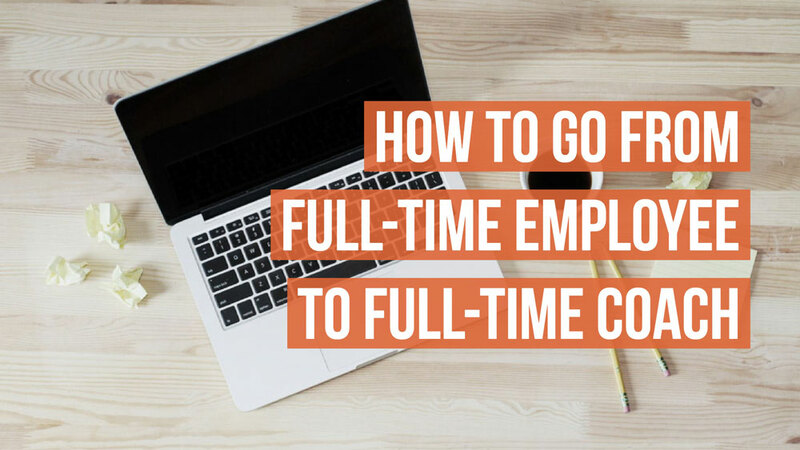 How To Go From Full-Time Employee To Full-Time Coach - Coach & Grow R.I.C.H. I recently celebrated my 17 Year Anniversary of making the big leap from a full-time software sales job to start my full-time coaching business. Anyway, when I made the transition from Employee to Coach & Biz Owner, there were a lot of ups and downs. I did some things right and made a whole bunch of mistakes! If you’ve already made the leap, Congratulations! …let me help you avoid the “downs” and “mistakes” that I went through and I see SO MANY coaches needlessly experiencing. Get your free seat in the training class with me here. The Top 3 Reasons why so many coaches fail to successfully launch their coaching business, and what you can do to avoid these deadly mistakes. The #1 Most Important Skill you need in order to grow your coaching business quickly. How to choose if a “Fast” or “Slow” transition will work best for you. How to determine the amount of finances you need to make the transition… And what to do if there is a big gap between that number and where you are right now. Which business-building elements to focus on first… And which ones to hold off on. How to consistently build your belief and confidence, even when you’re experiencing self-doubt … And MUCH, MUCH MORE!